On February 22, 2008 (Shimane Prefecture Takeshima Day) Japanese Professor Hosaka Yuji (shown right) held a press conference to unveil some newly uncovered maps of Korea from the 19th Century. It has been long known Japanese maps consistently excluded Matsushima (Dokdo) from Japan’s territory. However, over the last few years more maps have surfaced that go a step further and show Takeshima (Ulleungdo) and Matsushima (Dokdo) as Korean territory. These maps strongly support Korea’s claim to the island. Professor Hosaka Yuji was born in Tokyo, Japan and graduated from Tokyo University in 1979. He moved to Seoul to research relations between South Korea and Japan in 1988. Professor Hosaka Obtained his M.A. and Ph. D. at the Department of Political Science and International Relations of Korea University. After residing in South Korea for 15 years, he became a naturalized South Korean in 2003. Professor Hosaka received the Minister of Foreign Affairs and Trade Award in 2005. He is currently, a professor of the College of Liberal Arts at Sejong University (Japanology). He has written various papers on the history of South Korea-Japan relations, territorial rights over Dokdo, the issue of history textbooks, worshipping at the Yasukuni Shrine, the Korean wave, Japan’s rightist ideology, and other topics. Abve left: A close-up of the 1894 map showing Ulleungdo (Takeshima – 竹島) and Dokdo (Matsushima 松島) Above right: An extreme close-up showing Ulleungdo (Takeshima – 竹島) and Dokdo (Matsushima 松島) click maps. 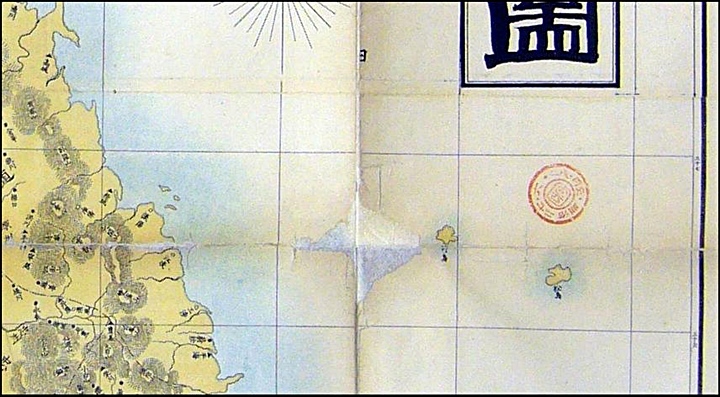 Japanese Historical Maps Disprove Japan’s MOFA’s False Claims to Dokdo – Takeshima. 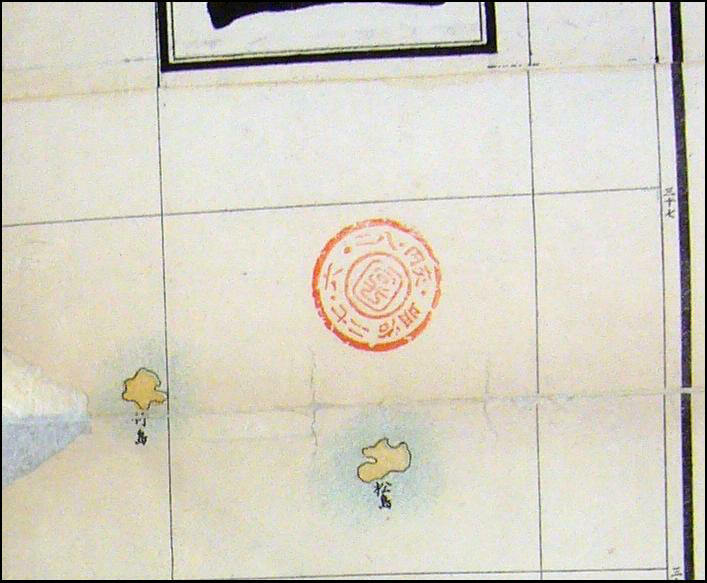 Upon gathering and analysing Japanese historical maps a few definite patterns emerge. A large majority of Japanese maps exclude both Ulleungdo and Dokdo altogether. 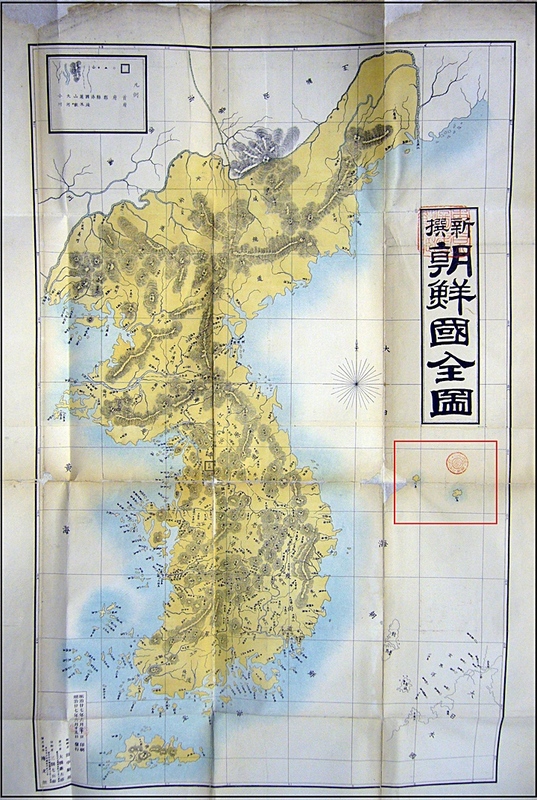 Some Japanese historical maps include Ulleungdo and Dokdo, but they are not included as part of Japan. Other Japanese maps show both Ulleungdo and Dokdo as Korean land. However, few if any Japanese historical maps could be said to show Dokdo as Japanese territory. Based on the objective map analysis of Japanese charts undertaken by this website, Japan has no historical title to Dokdo – Takeshima Island.